The tension between states and localities, on the one hand, and federal authorities, on the other, over so-called “sanctuary” jurisdictions has been one of the most politically charged federalism flashpoints since President Trump took office. (As an aside, I should note that the issue has generated some intrastate conflicts as well; for example, some less liberal cities in solidly blue states have tried to politically distance themselves from state sanctuary policies.) Moving from political rhetoric to constitutional law, a lawsuit filed by the Trump administration against the State of California earlier this spring helps bring into relief the legal stakes in the sanctuary battles. But even as the lawsuit seeks to attach some legal flesh onto the political bones of the dispute, the litigation also highlights two recurring problems with the debate so far: (1) the term “sanctuary” is too broad, as a legal matter, insofar as it is used as an umbrella to cover many state and local actions that are very different (legally speaking) from one another; and (2) the legal positions advanced by the federal administration and ambitious states like California are both too extreme and doctrinally untenable. As I explain in more detail below as I parse the complaint in the United States v. California lawsuit, I very much hope that as these matters begin receiving attention in the judicial forum, they will be analyzed with much more precision and doctrinal care, such that some of the bluster on both sides will ultimately fall away. The complaint, filed in federal court in Sacramento in the Eastern District of California about eight weeks ago, asserts claims by the federal government against the State of California for three distinct state legislative enactments that fall under the “sanctuary” rubric: (1) California’s “Immigrant Worker Protection Act” (IWPA); (2) California Assembly Bill (AB) 103, relating to investigation powers of the California Attorney General with respect to certain immigration detention facilities; and (3) California Senate Bill (SB) 54, which limits state and local enforcement discretion to provide the federal government information relating to persons released from state detention who may be of interest to federal immigration authorities. I take up each of the three state enactments—and the major issues raised therein—in turn. 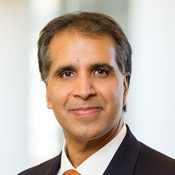 According to the complaint, the IWPA “regulates how private employers in California must respond to federal efforts to ensure compliance with federal immigration laws through investigations in places of employment.” More specifically, the California statute provides, among other things, that neither an employer nor its agent “shall . . . provide voluntary consent to an immigration enforcement agent to enter any nonpublic areas of a place of labor [unless] the immigration enforcement agent provides a judicial warrant [or consent is] otherwise required by federal law.” This, and similar provisions of the California statute, are backed up by meaningful sanctions; employers who voluntarily cooperate with the feds are subject to an escalating schedule of fines in the thousands of dollars per violation. However laudable California’s intentions are here, a law such as the IWPA is very likely unconstitutional under Supreme Court doctrine. In the seminal McCulloch v. Maryland case in 1819 involving the Bank of the United States, Chief Justice John Marshall’s unanimous opinion, in striking down a tax Maryland targeted at a valid federal entity, held that states cannot tax or regulate in ways that directly interfere with constitutionally permissible, albeit politically controversial, federal programs, policies, and operations. The Supreme Court has even extended this federal supremacy principle to invalidate state policies that neither tax nor regulate, but instead direct where state dollars may be spent. If a state can’t regulate federal entities or employees in such a way as to frustrate accomplishment of federal policies, neither should it be able to regulate federal contractors, or individuals who otherwise voluntarily choose to cooperate or associate with the federal government, if the same frustration of federal policy would result. One way to appreciate the centrality of this supremacy principle is to imagine a converse partisan equation. Suppose, in the 1960s, southern states tried to punish employers who voluntarily allowed federal civil rights enforcement agencies into the workplace to collect information relevant to fashioning and implementing federal workplace equality laws. Or imagine, in the 1970s, that states that disagreed with newly enacted federal environmental laws punished companies that voluntarily provided pollution data to the EPA that might be used in the creation and enforcement of administrative regulations to make the statutes effective. Assuming (and I think this is a pretty easy assumption) that enforcement of federal immigration laws is something as to which the president has lawful authority from Congress and/or the Constitution to undertake (regardless of how politically controversial particular immigration policies are), then state laws like the IWPA that stand (and are intended to operate) as non-trivial obstacles to the accomplishment and execution of the full purpose of enforcing federal law will likely be rejected by the Supreme Court. AB 103, the second target of the federal lawsuit, requires the California Attorney General or his surrogate “to engage in reviews of county, local or private . . . detention facilities in which noncitizens are being housed or detained,” pursuant to contracts between the federal Department of Homeland Security (DHS) and public and private entities. It seems that DHS, through the Immigration and Customs Enforcement (ICE) agency, contracts with private entities as well as with state and local governments to house noncitizen detainees on behalf of the feds, until these detainees can be processed in federal immigration tribunals. The California statute simply directs state law enforcement to inspect these detention facilities for violations of law. First, the fact that California has chosen to concentrate on immigration detention facilities and not other kinds of detention facilities does not, without more, show that California is interfering with federal law execution. These detention facilities , especially the ones operated by local governments in the state, are (unless Congress has preempted the entire field, which is not something the complaint really demonstrates) subject to state as well as federal regulation, and if California has reason to believe state law violations are occurring distinctively at these facilities, it can direct inspection resources accordingly. None of this is to say AB 103 is necessarily valid. At this point, I think two key questions need to be explored. First, with respect to the private detention facilities, are the state inspections in any meaningful way interfering with the ability of the facilities to assist the feds in enforcing federal law? (See the IWPA discussion.) And second, as to the local-government-run detention facilities, exactly what do the terms of the agreements with the DHS/ICE provide about what kinds of state-level inspection activity are or are not anticipated? In other words, AB 103, at least as regards to the local government detention facilities, may run afoul of federal contracts, putting aside larger questions of constitutional supremacy. 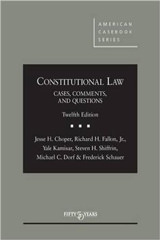 But as I have written extensively on this website and more elaborately in law review scholarship, federal commands for information sharing in this realm very likely run afoul of the anti-commandeering principle embodied in the Tenth Amendment and applied in Printz v. United States, a 1997 Supreme Court case holding that the federal government could not require state and local law enforcement officers to conduct background checks on gun purchasers as part of the implementation of a federal law (the Brady gun control law). 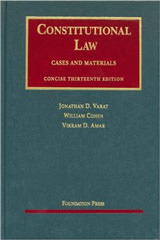 “The Federal Government,” the Court said in Printz, “may neither issue directives requiring the States to address particular problems, nor command the States’ officers, or those of their political subdivisions, to administer or enforce a federal regulatory program.” Cooperation between the states and the feds might be an important and valuable feature of the enforcement of many federal legal regimes (including immigration), but the teaching of Printz (and the cases on which Printz relies) is that such cooperation must be voluntary and cannot simply be mandated by the federal government. From indications earlier this Supreme Court term, Printz still seems to command a majority of the Court, and is not limited to the gun control setting. 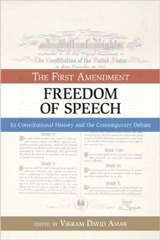 And although the Printz Court expressly reserved whether its holding should extend to federal laws “which require only the provision of information to the Federal Government,” one of the most-oft-invoked (including this term) rationales for the Printz principle—the way in which federal commandeering might make it hard for citizens of a state to hold the federal government accountable for unpopular policy—seems, upon careful analysis and reflection, to be implicated by the information demands the feds are making in the present setting. Perhaps some information demands, like the one concerning data on missing children mentioned by Justice O’Connor in her concurring opinion in Printz, do not raise obvious accountability problems, but immigration enforcement very well could. In this regard, recall that sanctuary jurisdiction proponents often explain their decisions to become sanctuaries on the ground that residents are safer and healthier if undocumented residents feel free to report crimes to police and to avail themselves of other public resources (e.g., health clinics and schools) without fear that local authorities are actively working in concert with the feds in deportation efforts. If local officials are not able to publicly and credibly proclaim and publicize that they will not provide information (or other support) to the feds, undocumented persons may clam up or fail to seek health and education services (whether or not the undocumented persons know the details of any support the locals provide), and the resulting possible increases in unsolved crime and public health problems may be blamed by the body politic on local officials (because they are generally the most visible level of government as to these matters) rather than the federal architects of § 1373 and similar federal commands. Or, at least, I believe this corruption of accountability is similarly as plausible as it was in Printz. So if we tally up the scorecard on the three claims raised by the federal government in United States v. California, the feds should and will likely win on one (IWPA), should and likely will lose on another (SB 54), and may lose at least in part on the third (AB 103). In their filings and enactments, however, both sides seem to assert extreme positions that are not entirely tenable. An unfortunate sign of the times, perhaps.